Bring your next project to life with Hansel, Gretel and the Witch! Each figurine is made of soft plastic and hand-painted. 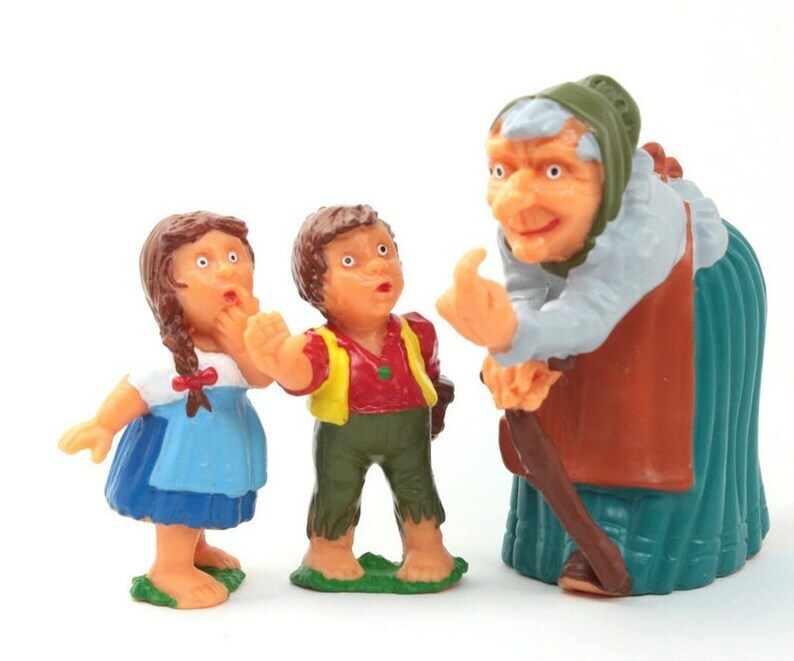 Hansel and Gretel are 2" tall and the Witch is 2.75" tall. Set of 3 pieces, one of each character. Imported from Germany. Manufactured by a family-owned business known for producing beautifully detailed high quality miniatures for over 50 years!